SALT LAKE CITY, Utah, Dec. 3 (SEND2PRESS NEWSWIRE) — International Document Services (IDS), a mortgage document preparation vendor, announced it has begun to phase out the Home Valuation Code of Conduct (HVCC) in response to an October 15 directive from Fannie Mae and Freddie Mac stating that the HVCC will no longer be the standard bearer for the protection of the home appraisal process beginning in 2011. To comply with this request, IDS will provide disclosure forms that mirror the Appraiser Independence Requirements. The form, titled “Appraiser Independence Requirements: Appraisal Acknowledgment,” will be included in the closing document package to simplify the document delivery process. The form requires the lender’s endorsement and not the borrower’s, which enables the lender to meet the standard of proof as required by the Appraiser Independence Requirements. 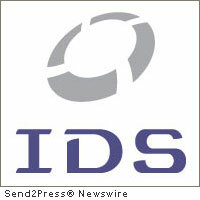 “2010 brought many regulatory changes within the industry, and, just as we were then, IDS is prepared to guide our customers through the 2011 compliance landscape to ensure their docs meet the most rigorous of investor requirements and can withstand the highest level of regulatory scrutiny,” said IDS President Curt Doman.